Audi plans to begin testing highly automated self-driving car technology at a California race track that's more used to hosting auto races. The tests are supposed to help the company understand how autonomous driving technology performs at high speeds, when vehicles are performing at the limits of their specifications or speed. Such testing isn't possible on public roads because of the danger it would pose to other road users. 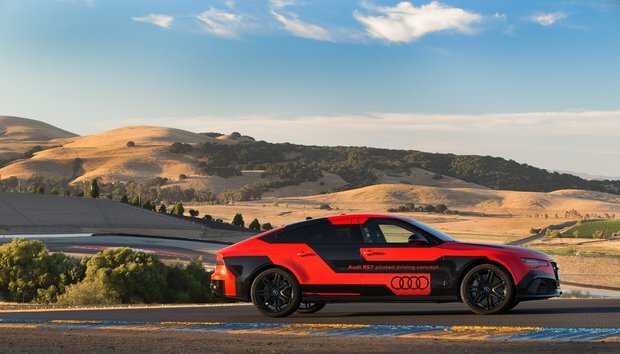 A self-driving Audi on a test track in Sonoma, California.